T-Mobile has been the one to disrupt the mobile industry in the US these past few years. The prepaid market space in the US, while still a great value, T-Mobile strives to provide an even greater value with its newest data hikes. 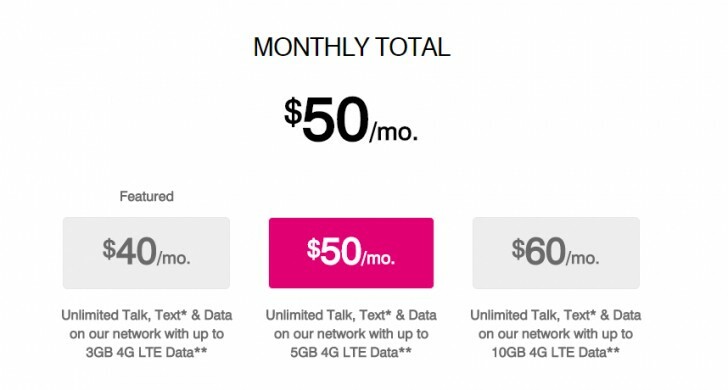 T-Mobile is raising its data allotments for $40, $50, and $60 prepaid plans from 1GB, 3GB and 5GB to 3GB, 5GB and 10GB respectively. These plans also include T-Mobile’s Music freedom and its new video optimizer which lowers video content’s resolution to 480p in order to save data and watch up to 3 times more video with the same amount of data. If you stream a lot of music, you’ll want to look into getting a prepaid plan from T-Mobile. Raising data without raising prices is another reason T-Mobile wants to give more to its customers and wants customers to love their carrier. Keep it up T-Mobile! Mobile Share Value 3GB & 3GB Bonus. I complained about crappy coverage in my area and was upgraded with this bonus.